Hi all – I have had the great opportunity of becoming more integrated into the UAT community by joining the school not only as a student, but an ambassador! As a way to introduce myself I will talk about my experiences at UAT and what my major even means! My name is Gage and I am in my third semester here at UAT. This semester I began to realize that my passion of computer science has led me into a new direction of Human-Computer Interaction (HCI). For the past three semesters (and two others before coming here) I have pursued programming in the field of computer science, and it has taught me so much about what it means to think and how fast we are to assume we're thinking logically – but the code logic errors never lie. This past semester studying data structures and algorithms I found a huge interest of mine – design, algorithms, and how we utilize these structures both in code and in life. This new interest led me into a sort of passion about the interaction of humans and technology. The next step was pretty obvious – study the degree that is almost word-for-word my interest – Human-Computer Interaction. 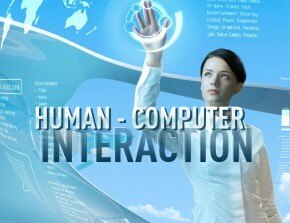 So, what is Human-Computer Interaction? Thanks to a good friend, Wikipedia, Human–computer interaction (HCI) "researches the design and use of computer technology, focusing on the interfaces between people (users) and computers. Researchers in the field of HCI both observe the ways in which humans interact with computers and design technologies that let humans interact with computers in novel ways." I didn't abandon the computer science life because HCI is a branch of CS but intersects with behavioral science, design, and media. It fits all of areas that originally attracted me to CS in the first place. I am very grateful for my programming teachers here at UAT who have taught me so much about the theory and practical usages of programming in computer science. This being said, most of what I will write about is how humans are natural algorithm writing fiends and most of us don't even realize how many our brains use a day.